TOKYO -- Toyota will recall about 7,200 Prius vehicles in Canada as part of a larger global recall of 1.03 million units due to an issue with the engine wire harness, which can pose a fire risk. The global recall will also take place in Japan, Europe and other regions and also includes the C-HR subcompact crossover. 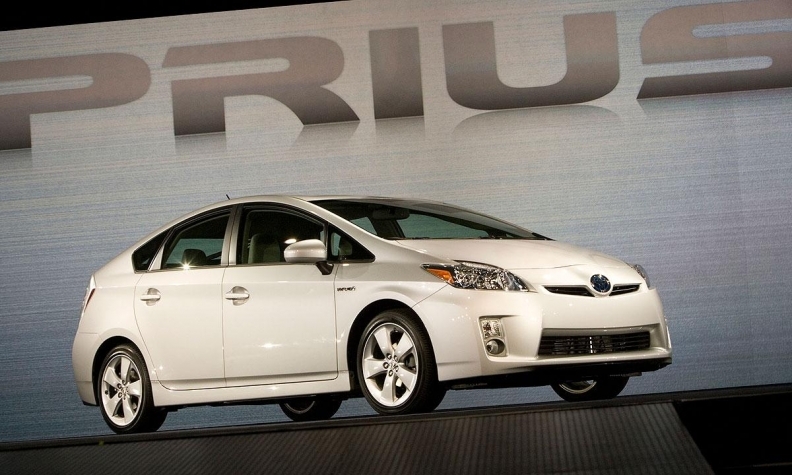 Toyota Canada is only recalling Prius vehicles at this time, according to a news release. Following a domestic recall announcement by Japan's transport ministry, Toyota said that in affected vehicles, the wire harness that connects to the hybrid power control unit can come into contact with the covering at the connection point. If dust accumulates on the wire harness or the cover, the insulation on the wires could wear down over time due to vehicle vibrations. This could cause a short circuit, which could generate heat and lead to a risk of fire, Toyota said. The issue affects vehicles produced in Japan between June 2015 and May 2018 and includes the plug-in version of the Prius and the C-HR sold in Japan, Europe, Australia and other countries. Jault added that the issue had led to one incident of a short circuiting in Japan which produced smoke from the vehicle. The recall is one of the largest actions for Toyota unrelated to Takata airbags or 2009's unintended acceleration crisis. In 2016, Toyota also recalled about 2.87 million cars including the Prius for leaky fuel tanks, and a further 1.43 million mainly Prius vehicles for non-Takata airbags.